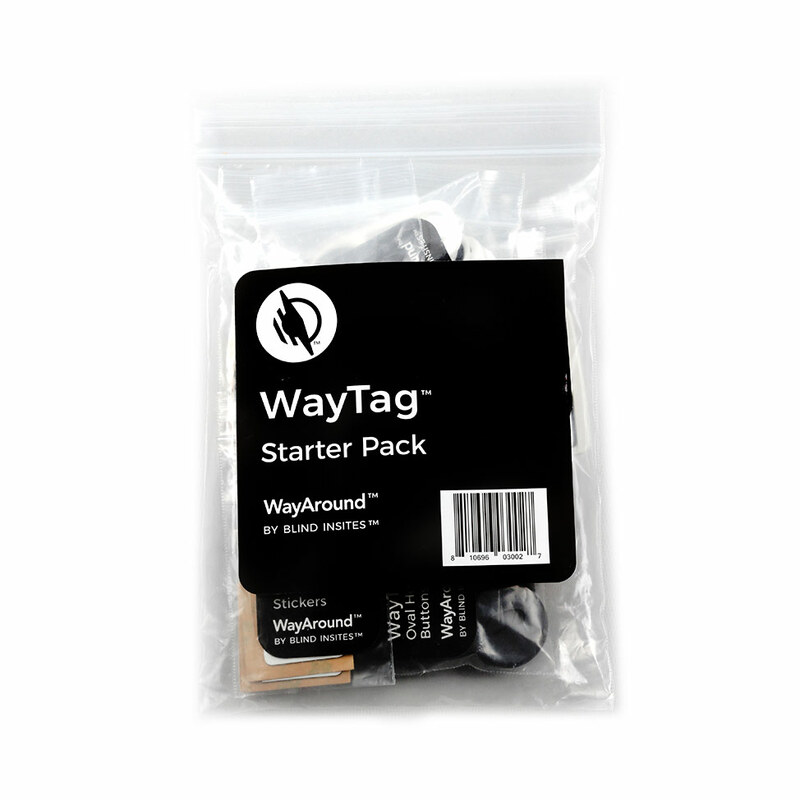 The Laundry Starter Pack contains WayTag 2-hole buttons plus a blind-friendly sewing kit—everything you need to get started tagging your clothing with WayAround. 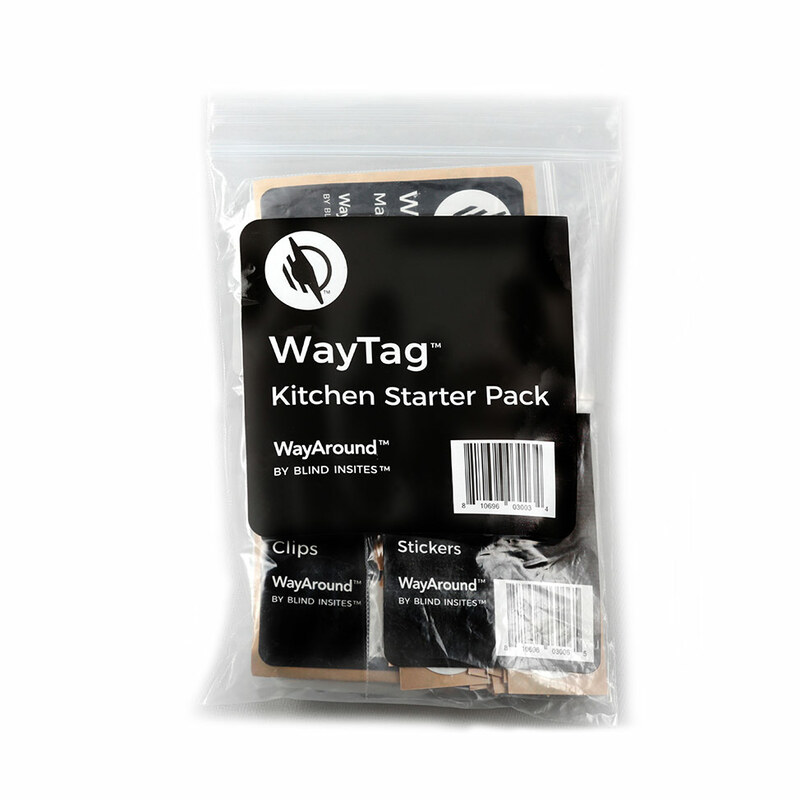 The popular Laundry Starter Pack contains 25 WayTag 2-hole buttons plus a blind-friendly sewing kit. 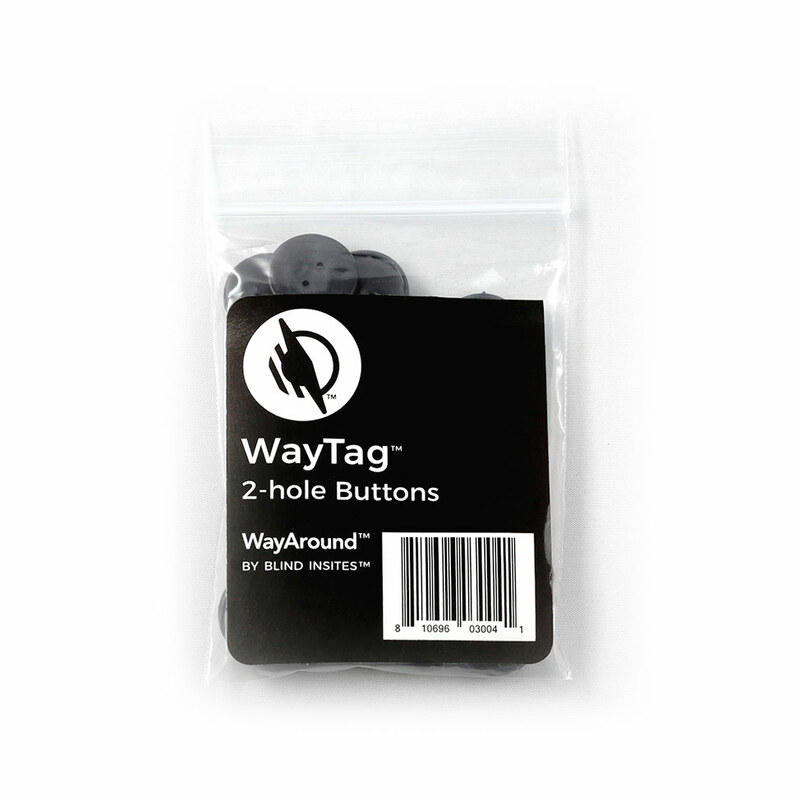 The WayTag two-hole buttons and thread can both safely go through the washer and dryer. 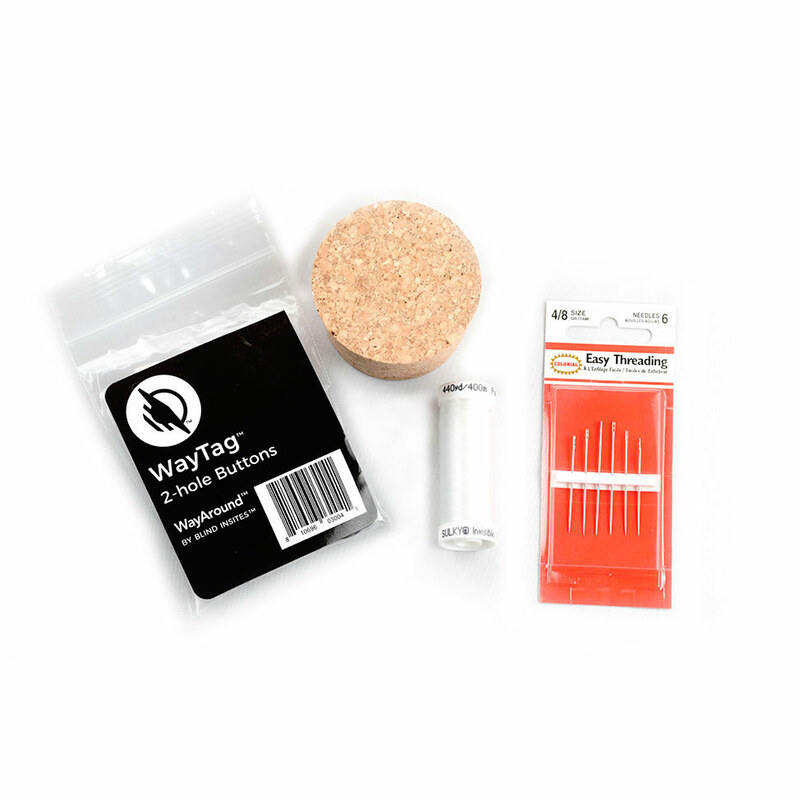 The Sewing Kit contains self-threading needles, a cork, and invisible thread. 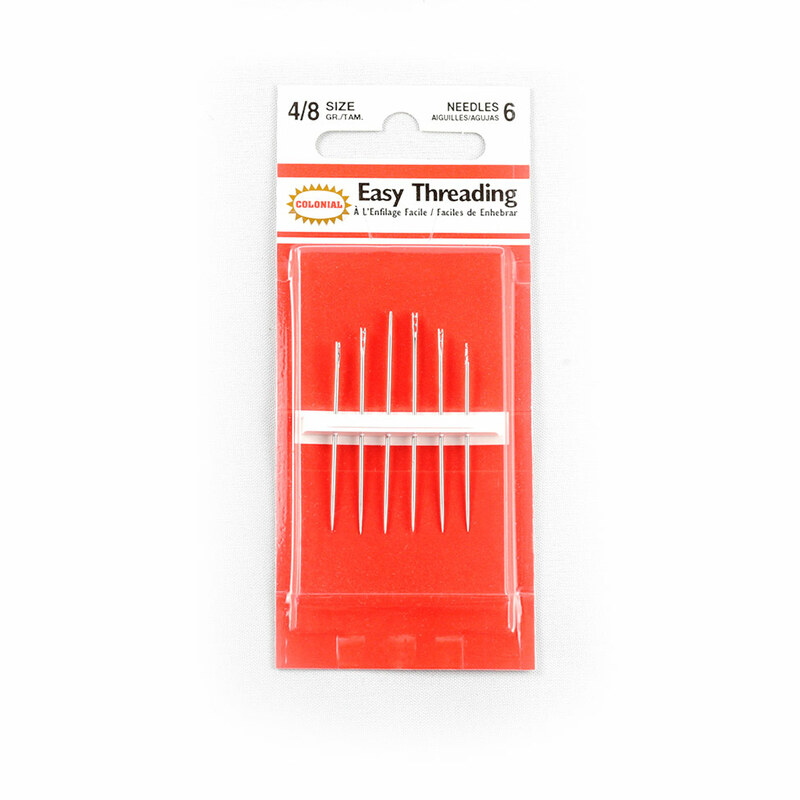 Self-threading needles: These easy-to-thread needles have a notch at the top of the needle that allows you to pull the thread down through the top into the eye. 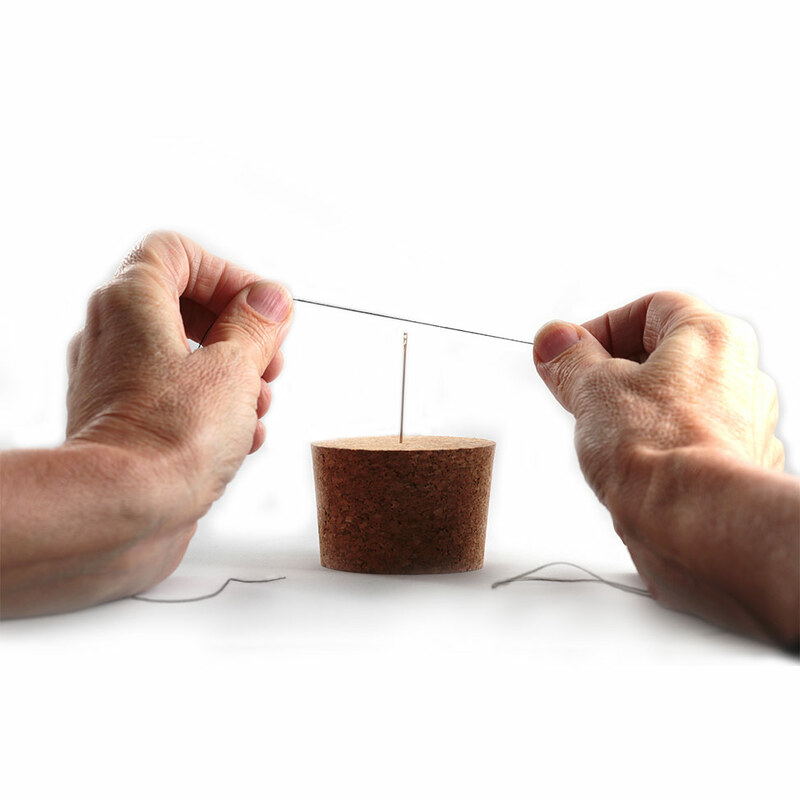 The pack of six includes short, medium, and long needles. Size 4/8. 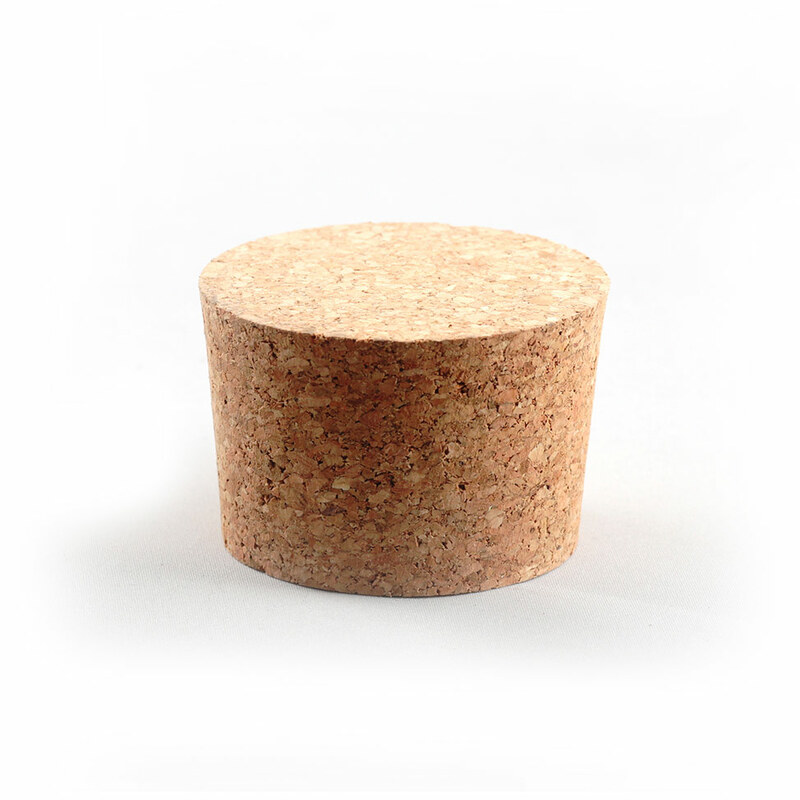 Cork: The tapered cork is wide and stable, not tall and skinny like a wine bottle cork. 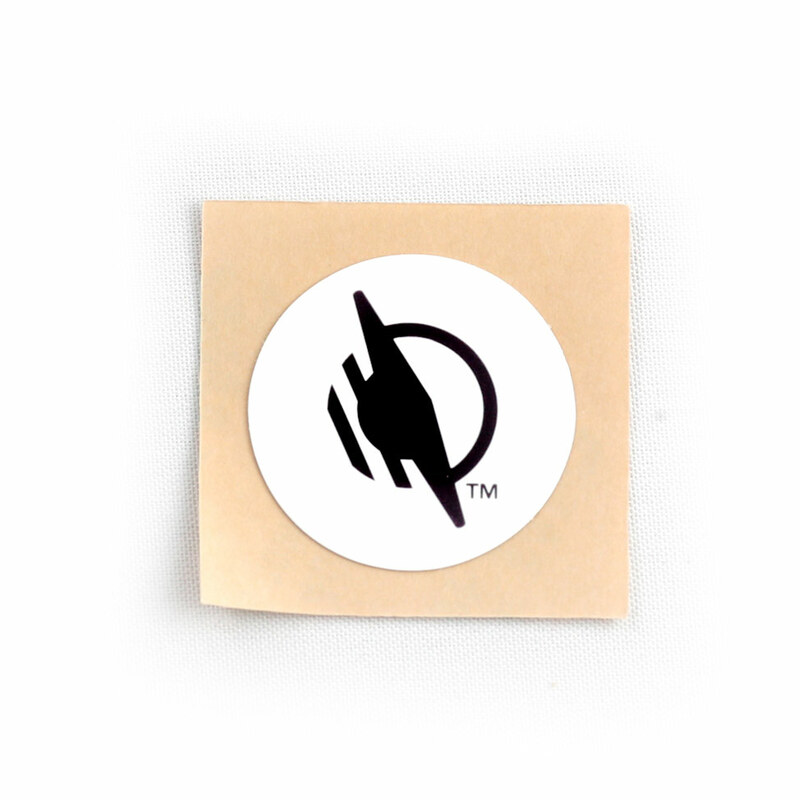 The top diameter is 2.25 inches and the bottom diameter is 2 inches. The cork is 1.5 inches tall. 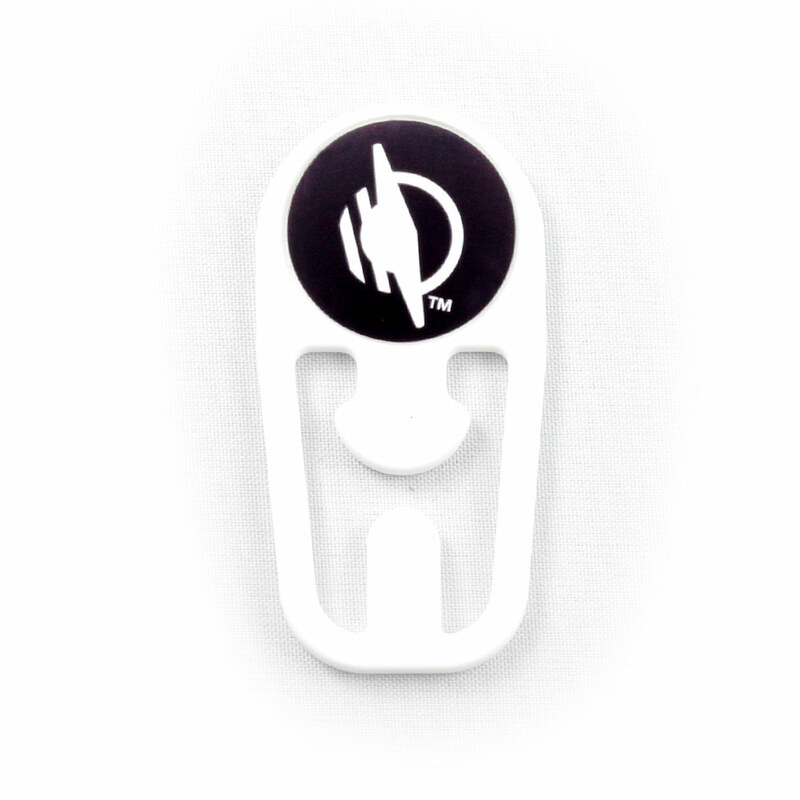 Made from 100% natural cork. 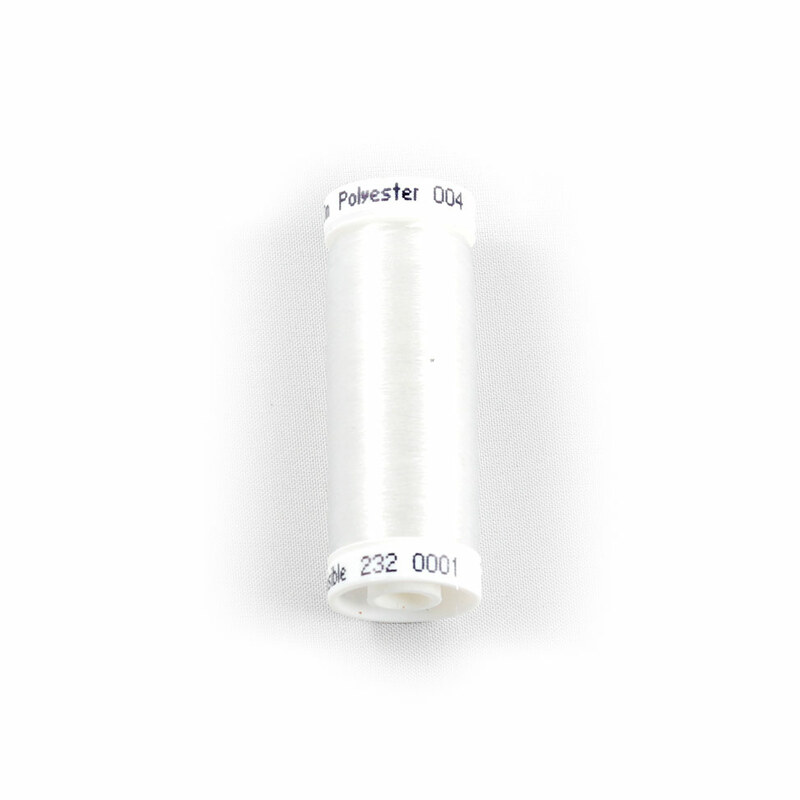 Invisible Thread: This polyester invisible thread from Sulky works for hems, baby blankets, and garments. 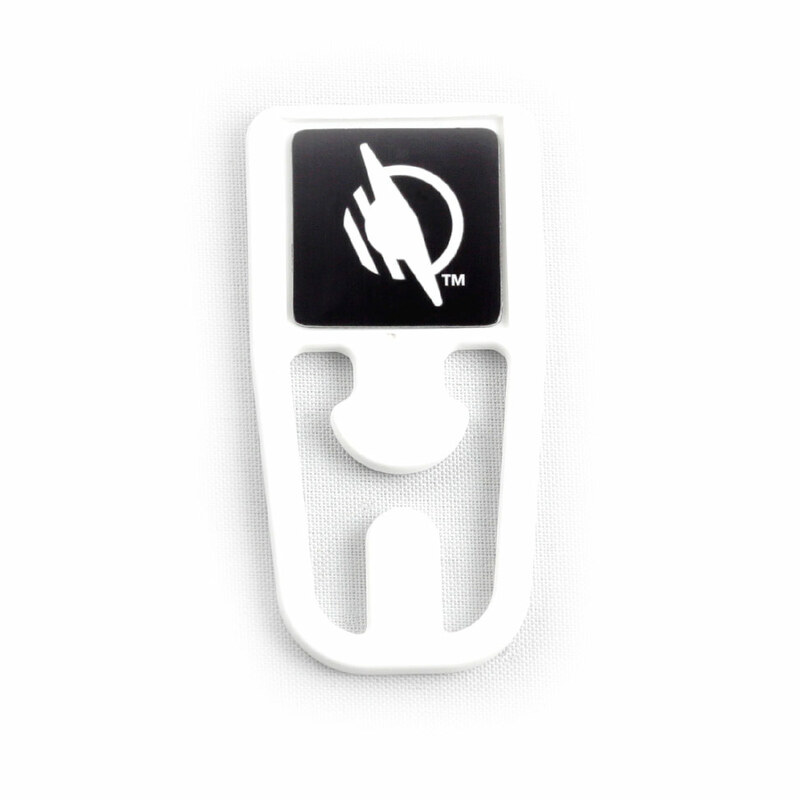 It is soft, and because it is 100% polyester, it will not melt with normal ironing on the cotton setting.